About 15 years ago, there were fun happy daisies growing at the front of our property in the weeds/grass. I went out to dig them up and transplant them into our new garden. Technically, I'm pretty sure they are a mum and not a daisy, but mums don't sound like "fun" or "happy" and they look like daisies! As I was digging, the neighbor across the road was out and we chatted some. I didn't know him too well, but he was very friendly and I knew he was a school teacher. I commented that I thought it was so odd that these daisies were growing there out of the blue. He said, oh no he had pulled a bunch from his yard and threw them over in our field and they must have seeded. He said they grow like weeds! He and his family moved not long after I dug up the daisies. Well 15 years later those plants he discarded as weeds, have multiplied and have brought me so much happiness. 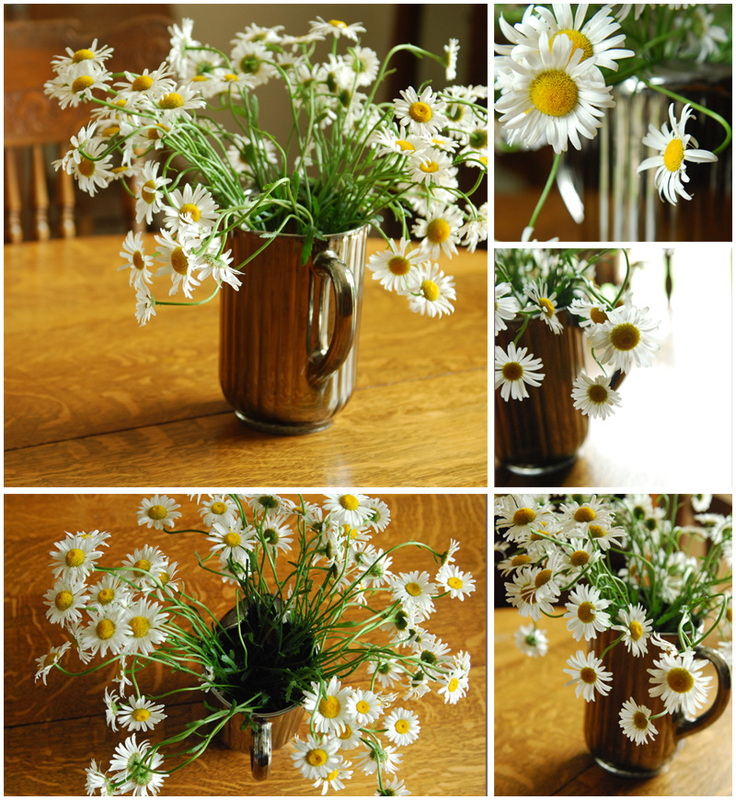 I had daisies in our poor soil even when other plants wouldn't do well. I've even shared some plants with others. I saw through a friend on Facebook that this gentleman recently died. The flowers have always been a reminder to me of him and now they are a reminder for me to pray for him and his family. Interesting, that even an action as throwing something that you regard as nothing or a nuisance can bring someone else much pleasure. Interesting, that God can use us even when when we are completely unaware. Beautiful images, and post. I love those "daisies" too. Great connection between daisies and being used in someone's life. Your photos are so pretty. I love daisies/mums, too. What a lovely reminder of this gentleman.